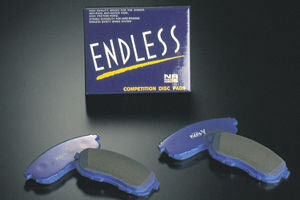 Entry level street pads, with an emphasis put on initial stopping force and pedal touch. This is an exclusive pad for use on the street with emphasis on effectiveness at low temperatures. The lack of asbestos means that unpleasant noise have been minimised. The NA-Y has an ideal rotor temperature area that adequately covers the temperature range of between 50 and 350°C experienced in street driving.